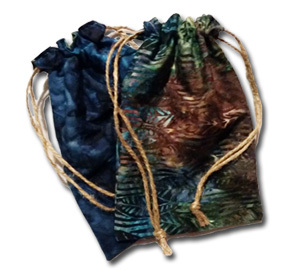 The Unity Consciousness energies of 7th dimensional Crystal Teraphim are carefully protected when placed in Teraphim Pouches for travel, or other reasons. 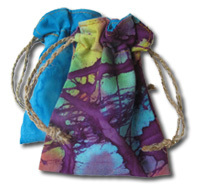 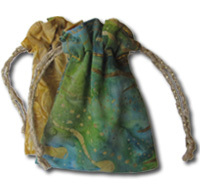 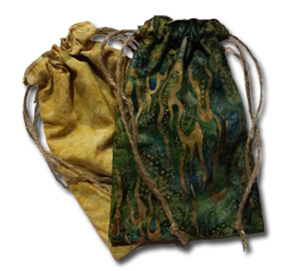 Our Teraphim Pouches are made from hand designed “batik” 100% cotton fabric and hand assembled using 100% natural jute or hemp drawstrings and are offered in our Standard size of 6″ x 8.5″ or our Small size of 2.75″ x 3.75″. 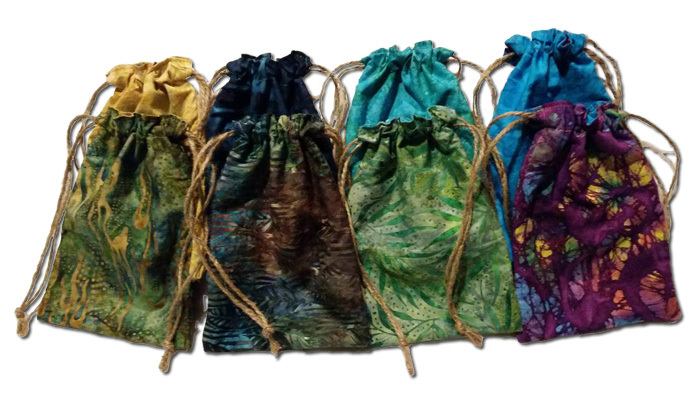 Each Teraphim Pouch is created using two unique batik fabrics so that it is reversible, or can be turned inside out, and either design can be enjoyed at any time. 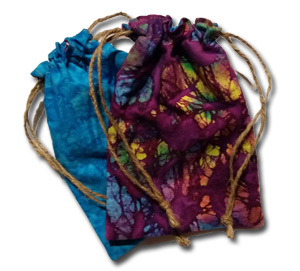 The actual color and specific batik design in the pictures below may vary slightly to the Teraphim Pouch you receive because hand made batik fabric has short production runs. 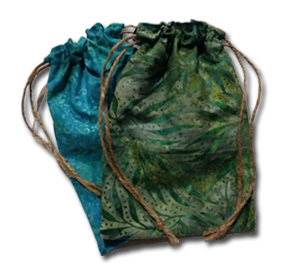 But blue is blue and green is green. 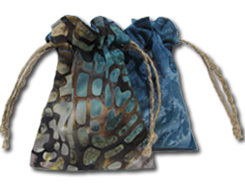 In addition, there are minimum design changes in different batik fabric production runs. 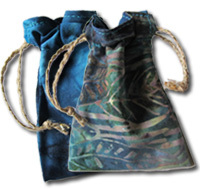 We donate 10% of the sales price from each Crystal Teraphim Pouch sold to help feed, educate and create a Love Energized environment for 1,300 destitute children in Africa who live with 40,000 other people in a violent crime ridden “informal settlement” of 7,000 shacks made from corrugated tin salvaged from trash dumps.